Most criminal justice professionals agree that in order to improve public safety, we must focus resources on prevention, resorting to arrest and incarceration only when they are the most effective options. Criminal justice professionals need to be equipped with a range of tools to prevent crime and to address its underlying causes. Our solutions address the root causes of crime to improve public safety at four distinct stages of the criminal justice system: prevention, diversion, safety-focused incarceration, and successful reintegration. The measure of the success or failure of any society’s criminal justice system is whether, while maintaining the civil liberties of its people, it makes that community safer. Yet many people come out of prison less stable and more dangerous than when they went in. So even by locking up more people than any other country in the world, we haven’t improved the safety of our communities or of our law enforcement officers. 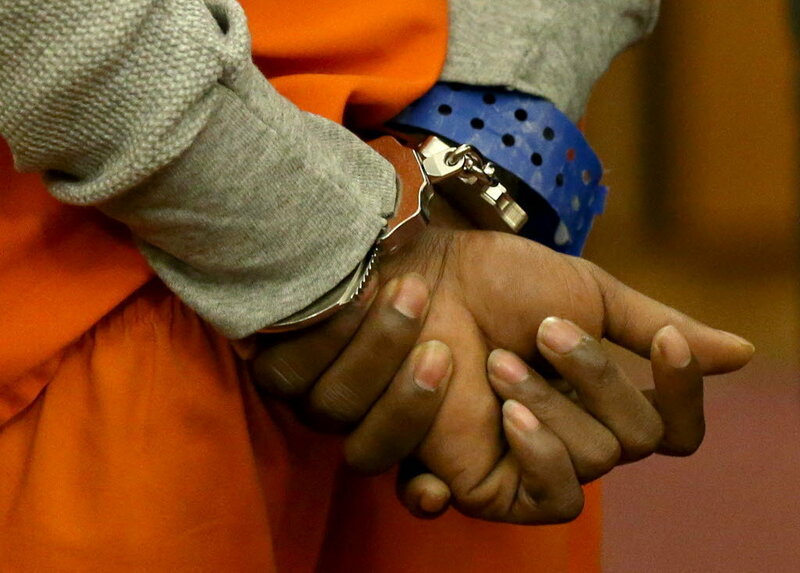 A justice system stuck in “prison gear” actually makes our communities less safe. It fails to prevent crime because it ignores underlying causes like addiction, homelessness, and untreated mental health problems. It exposes those who commit preventable crimes to violence and trauma in jail, exacerbating their mental health and substance abuse issues instead of confronting the root causes of their crimes. It severs their healthy ties to family and community and pushes them to join gangs and criminal networks for their own safety. It also destabilizes their families; the five million children who have grown up with a parent behind bars are themselves more likely to use drugs, become trauma victims, and commit crimes.3 Finally, branding more people with a criminal record increases recidivism by blocking legal employment, housing, and education—key ingredients for building stable, responsible lives. The Law Enforcement Action Partnership supports programs that prevent individuals from becoming involved in crime in the first place. One study estimates that raising the male graduation rate by ten percent would lower murder and assault rates by 20 percent 7 By investing in childhood education, we can both strengthen communities and increase public safety. Supporting crime victims can also reduce crime and free up criminal justice resources to focus on the greatest threats to public safety. Many victims of traumatic crimes go on to commit crimes, particularly when their trauma is left untreated.10 In fact, exposure to physical and sexual abuse or gun violence as a child roughly doubles the chance that an individual will commit crimes later in life.11 Yet although eight out of ten violent crime victims report symptoms of trauma,12 only a third of all violent crime survivors receive any form of treatment or mental health support.13 Trauma recovery centers address this issue by providing mental health treatment, counseling, relocation assistance and compensation support for crime survivors.14 These centers can both heal their wounds and prevent future crime. The Law Enforcement Action Partnership supports efforts to prevent crime by removing low-risk individuals from the criminal justice system and addressing the root causes of their crimes. These programs divert those who commit preventable crimes related to substance abuse and mental health issues from the criminal justice system and into programs that will make it less likely that they re-offend. Public safety improves when they are instead admitted to intensive, wraparound rehabilitation programs that confront the root causes of their crimes. Law Enforcement Assisted Diversion (LEAD) allows specially trained patrol officers to divert individuals addicted to drugs from arrest into support programs where LEAD case managers work with them on addiction and mental health treatment, health care, housing, bureaucracy, and employment. Miami-Dade’s Criminal Mental Health Project (CMHP), the leading example of pre-booking mental health diversion, directs emergency calls that may involve a mentally ill offender to trained officers. These officers bring in the offenders for mental health evaluation, providing support services that include medication, counseling, vocational training, help with government bureaucracy, and housing. The decision of whether to keep someone in jail while they await trial should be based on their risk to public safety, not on how much money they have. We should not keep people in jail because they are poor, and we should not allow dangerous people to buy their way out. Roughly half the people in jail today have not been found guilty; they are waiting behind bars for their case to be heard because they cannot afford to pay bail. Meanwhile, higher-risk offenders with greater financial resources are allowed to walk the streets. We support eliminating cash bail to send more people home to their families and keep those who present a threat off the streets. Our nation’s jails are clogged with individuals who are incarcerated mainly because they are poor. Filling debtors’ prisons wastes resources needed for serious offenders and destroys police-community trust and cooperation. Millions of Americans receive fines every year for minor infractions, from traffic offenses like driving with a broken tail-light to trespassing or public intoxication. When individuals fail to pay these fines or appear in court, the amount owed skyrockets, and they can be arrested and jailed. Though the U.S. Supreme Court’s decision in Tate vs. Short found incarceration for nonpayment of fines unconstitutional in 1971, our nation’s poorest citizens regularly end up behind bars for their inability to pay.22 We must provide judges with more penalty options, such as community service, so that they are not forced to impose fines upon people who cannot pay. As a result of frequent negative experiences with law enforcement, entire communities of color have lost trust in and stopped cooperating with law enforcement, making effective policing much more difficult. To address the root causes of crime, improve public safety, and restore police-community trust, we must confront the role that race plays in our justice system. The Law Enforcement Action Partnership supports reforms that ensure individual prison sentences are decided in the interest of public safety. Our nation’s dramatic increase in incarceration over the past thirty years has been caused not by rising crime but by politics. Incarceration rates have risen primarily because one-size-fits-all sentences decided by politicians are sending a much larger share of offenders to prison and keeping them there longer. States can reduce their incarceration rates – without harming public safety – by reclassifying low-level felonies to misdemeanors where appropriate, expanding the use of effective alternatives to prison, and allowing judges to hand down sentences that speak to the individual circumstances of a crime. Judges are currently prevented from weighing common-sense factors to determine the most appropriate sentence for defendants because politicians have tied their hands with mandatory minimum sentences, sentencing enhancements, and sentencing guidelines. We need to restore each judge’s ability to decide sentences that will improve public safety by addressing the root causes of crime. The decision to release someone from prison after an extended period of time is a complicated and difficult one. When judges and parole board experts agree that someone should no longer be incarcerated, that person should be allowed to return home. Yet their decisions are currently blocked by one-size-fits-all federal rules and by governors afraid of political backlash. We must allow judges and parole experts to take a second look at individual cases and return those who do pose little threat to public safety to their communities. Across the country, wrongful convictions lead to million-dollar settlements,28 guilty individuals remaining on the loose while others are tried for their crimes, and hostile police-community relations. Many of these wrongful convictions occur because the public defender system is so gravely underfunded that many defendants living in poverty do not receive a competent defense. We must ensure that individuals are incarcerated not because they lack a competent legal defense but because they need to be incarcerated. Finally, the Law Enforcement Action Partnership supports programs, both in prison and after release, that reduce recidivism by ensuring that each prisoner’s reentry is productive and safe for his or her community. When offenders return to their community, their probation and parole officers’ primary job should be to prevent them from re-offending. Effective prevention often means providing offenders with resources to confront the mental health and drug addiction issues generally at the root of their criminal behavior. Yet most jurisdictions fail to equip their probation and parole officers with these tools. As a result, roughly a third of the people entering prison every year are probationers and parolees.30 Most of them are returned to prison not for committing a new crime but for technical rule violations like leaving the jurisdiction, using technology without permission, or accepting an unauthorized job.31 We should stop automatically refilling prisons with people who do not pose a public safety risk and instead equip probation and parole officers with the tools they need to confront these offenders’ root issues. In the name of protecting the public, states block individuals convicted of crimes from certain housing, employment, and licensing opportunities, as well as many social services. However, most of these barriers bring no public safety benefit, and many in fact hurt public safety by increasing the chance that individuals with convictions end up unemployed and/or homeless. The more individuals feel like these barriers cut off their opportunities, the more likely they are to return to crime. We can reduce recidivism and increase trust in law enforcement by limiting the collateral consequences of a conviction to those that bring a clear benefit to public safety. Most states restrict the right to vote for people convicted of a felony, sometimes for the rest of their lives. These restrictions do nothing to improve public safety. The Constitutional right to vote should never be stripped from any American who has already paid his or her debt to society. The Law Enforcement Action Partnership opposes private prisons, because their shortcuts to save money come at the direct expense of public safety. 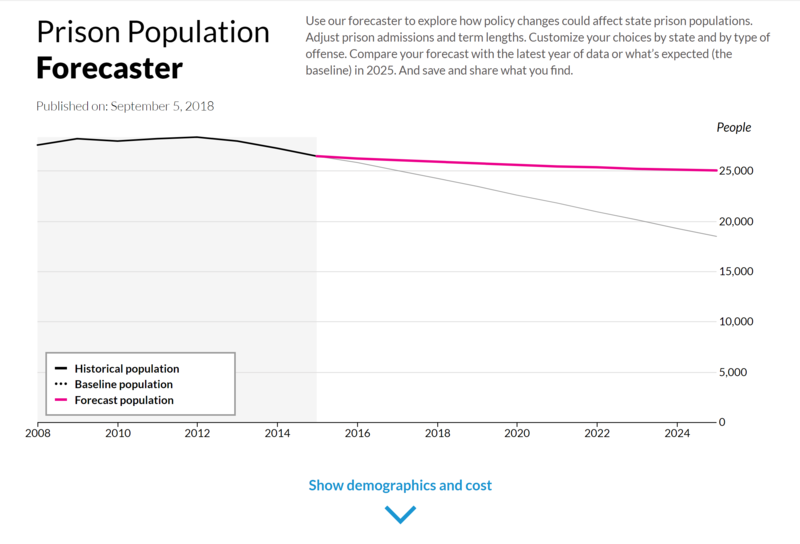 Use the Urban Institute's forecaster to explore how policy changes could affect state prison populations. Adjust prison admissions and term lengths. Customize your choices by state and by type of offense. Compare your forecast with the latest year of data or what’s expected (the baseline) in 2025. And save and share what you find. Michael Arceneaux. “Why Are the Three Largest Mental Health Providers Jails?” NewsOne, 2014. Accessed January 13, 2017 at http://newsone.com/2744141/prisons-mental-health-providers/. Correctional Association of New York. “Substance Abuse Treatment in New York Prisons.” Correctional Association of New York fact sheet, February 1, 2011.Accessed January 13, 2017 at http://www.correctionalassociation.org/resource/substance-abuse-treatment-in-new-york-prisons. Executive Office of the President of the United States, “Economic Perspectives on Incarceration and the Criminal Justice System.” Executive Office of the President of the United States report, April 2016: 5. Accessed January 13, 2017 at https://www.whitehouse.gov/sites/default/files/page/files/20160423_cea_incarceration_criminal_justice.pdf. Roettger, Swisher, Kuhl, and Chavez. “Paternal incarceration and trajectories of marijuana and other illegal drug use from adolescence into young adulthood: evidence from longitudinal panels of males and females in the United States”. US National Library of Medicine National Institutes of Health. 28 Sept. 2010. Accessed 13 Jan. 2017 at https://www.ncbi.nlm.nih.gov/pmc/articles/PMC3690823/. Murphey, David and Cooper, P. Mae. “Parents Behind Bars”. Child Trends website. Accessed 13 Jan. 2017 at http://www.childtrends.org/wp-content/uploads/2015/10/2015-42ParentsBehindBars.pdf. Murray, Farrington, and Sekol. “Children’s Antisocial Behavior, Mental Health, Drug Use, and Educational Performance After Parental Incarceration:A Systematic Review and Meta-Analysis”. American Psychological Association Report. 2012. Accessed 13 Jan. 2017 at https://www.apa.org/pubs/journals/features/bul-138-2-175.pdf. Nathan James, “Offender Reentry: Correctional Statistics, Reintegration into the Community, and Recidivism,” Congressional Research Service report, January 12, 2015. Accessed January 13, 2017 at https://fas.org/sgp/crs/misc/RL34287.pdf. The United States Department of Justice Office of Justice Programs. “Restorative Justice” Office of Justice Programs website. Nov. 2010. Accessed 13 Jan 2017 at https://www.ojjdp.gov/mpg/litreviews/Restorative_Justice.pdf. Christopher Hartney and Linh Vuong. “Created Equal.” National Council on Crime and Deliquency Report, March 2009. Accessed January 13, 2017, at http://www.nccdglobal.org/sites/default/files/publication_pdf/created-equal.pdf US Department of Education Office for Civil Rights. “Civil Rights Data Collection: Data Snapshot: School Discipline.” US Department of Education Office for Civil Rights Issue Brief No. 1, March 21, 2014. Accessed January 13, 2017 at http://ocrdata.ed.gov/Downloads/CRDC-School-Discipline-Snapshot.pdf. SAMHSA. “Table 1.19B.” National Survey on Drug Use and Health 2012. Accessed January 13, 2017 at http://archive.samhsa.gov/data/NSDUH/2012SummNatFindDetTables/DetTabs/NSDUH-DetTabsSect1peTabs1to46-2012.htm#Tab1.19B. Howard N. Snyder and Melissa Sickmund. “Juvenile Offenders and Victims: 2006 National Report.” National Center for Juvenile Justice report, March 2006. Accessed January 13, 2017 at https://www.ojjdp.gov/ojstatbb/nr2006/downloads/nr2006.pdf. Human Rights Watch. “Decades of Disparity Drug Arrests and Race in the United States.” Human Rights Watch report, March 2009. Accessed January 13, 2017 at https://www.hrw.org/sites/default/files/reports/us0309web_1.pdf. Sonja B. Starr and M. Marit Rehavi. “Mandatory Sentencing and Racial Disparity: Assessing the Role of Prosecutors and the Effects of Booker.” Yale Law Journal 123(1), October 2013. Accessed January 13, 2017 at http://www.yalelawjournal.org/article/mandatory-sentencing-and-racial-disparity-assessing-the-role-of-prosecutors-and-the-effects-of-booker.